Co-Op mother fuuuu....errr....sorry. After watching the latest co-op trailer for Ghost Recon Future Soldier, one with commentary from the MEGA 64 folks, I suddenly feel a little more frat like. It's ok though, because it surely sounds like they are enjoying the four player co-op campaign offered by the game. If anything, the trailer reminds us just how much fun we can have playing co-op with our friends. We see team work at play as the boys synchronize their kills, cover each other from the air and ground, and use toys like the quad copter to spy groups of enemies. 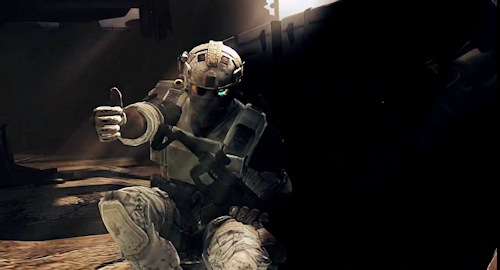 With only a few months before release, Ghost Recon Future Soldier is shaping up to be an intense co-op experience on the Xbox 360, PlayStation 3 and PC. Hell yeah!